In the third—and final—installment in a multi-part series on workholding, Toolink Engineering and König-mtm discuss inspection, special fixtures, and more. To conclude our three-part series on the principles of workholding we will begin with an overview of inspection devices, both hydraulic and mechanical. 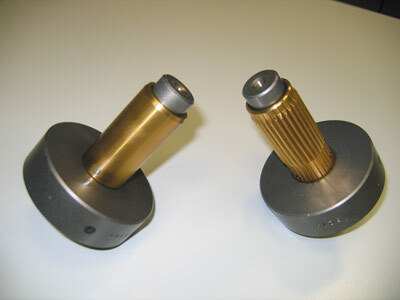 Next we will introduce some holding fixtures for special applications such as tapered bore components, clamping devices with multiple clamping functions, and devices with unique features for special applications. Finally, we will outline some of the application-specific additions that can be incorporated into your clamping systems, including electronic clamping pressure control. 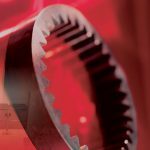 While many companies may have dedicated, quality, precise workholding for the manufacture of gears, surprisingly few have equal-quality tooling to inspect their finished product, let alone a solution that clamps or holds the workpiece in the same fashion as occurs during manufacture. 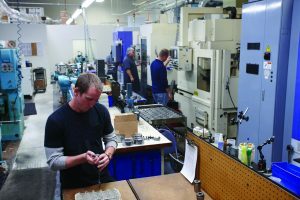 If your shop is manufacturing high-precision parts it’s a good rule of thumb that your inspection tooling should provide an accuracy error of no more than 10 percent of the part tolerance. 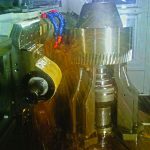 To maintain this quality it is difficult and time consuming, if even possible, to operate with a solid mandrel or a simple/rudimentary collet type mandrel. 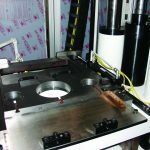 Hydraulic or mechanical clamping solutions for inspection can easily replicate, and most frequently exceed, the quality of existing manufacturing tooling. 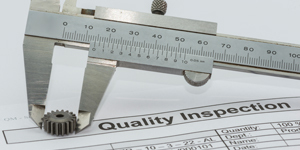 An obstacle that is frequently faced with inspection devices is weight. Despite the size of the component, heavy steel clamping fixtures are difficult to handle. The repetitive process of loading parts onto the clamping fixture, and then onto centers or the like, can be back-breaking, or simply time consuming if a crane must be used. To combat this König offers a line of light-metal, or aluminum bodied, hydraulic arbors. These arbors offer the same accuracy as their traditional steel counterparts, though, and weigh up to 60 percent less. The clamping area remains unchanged, being made of high-alloy tool steel, while the base arbor is made of lightweight aluminum. High-speed steel inserts are used for the centers and other wear areas, such as the axial location surface. All other functional aspects are identical to steel versions. This tooling design is ideal for measuring, balancing, turning, gear grinding, and others, assuming that minimal heat is imparted to the clamping device during the process. When weight is not an issue, nearly or exactly the same device that is used to clamp your components during manufacturing can be used for inspection. Arbors and chucks can be actuated manually, or by whatever method is available on the machine for automated inspection. 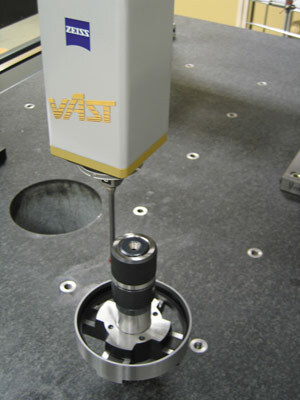 Given the increasingly common use of analytical gear inspection machines, another hurdle for inspection applications is providing clearance for the measuring probe to allow the machines to measure lead, involute, and runout, for example (Figure 1). In this situation both a colleted hydraulic arbor and a mechanical arbor are available. Given the hydraulic solution, the base arbor is sized well below the diameter of the clamping area. 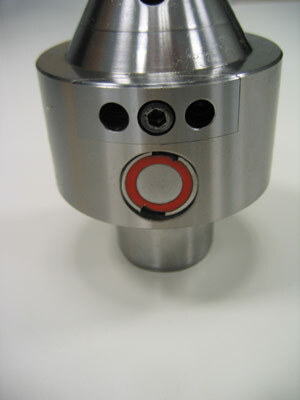 The base arbor is then fitted with a “pocketed” collet (Figure 2) that allows at least four pockets for probe clearance in between the other contact areas of the collet on the clamping diameter. These arbors can be prepared for use with multiple diameter collets and changeable axial support flanges. If your workpieces have smaller differences in bore sizes, but enough difference to exceed the clamping range of a direct-clamping hydraulic device, a mechanical “four leg” arbor may be ideal. 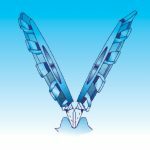 You have all encountered a tricky component or an application that challenges your machine’s capability, or a part that is simply a bear to hold during machining. There are always those who will give you fits determining how to clamp the part while locating on the datums, etc. König prides itself on offering solutions for your challenges. Perhaps you have a tapered bore. Occasionally a bore is lined with a soft metal bushing such as copper or brass or aluminum that could be damaged. If you have ever thought, “If I could only…” chances are that König has. For tapered bores, hydraulic expansion arbors are a solution, and face clamping is not always necessary. If the taper of the bore is less than 5° it can be clamped directly on a tapered hydraulic arbor. 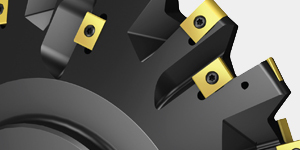 For greater flexibility you can also use straight hydraulic arbors with a slotted collet and a tapered OD geometry. A straight arbor using tapered collets can accommodate the same total taper angle of 5°. On taper angles higher than 5° König offers mechanical, solid mandrels with automatic actuated ejectors, for use on gear grinding machines, for example. To clamp on a soft metal sleeve, König offers a hydraulic expansion arbor with a plastic expansion sleeve. 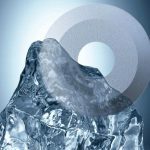 This softer plastic sleeve contacts the workpiece without scratching or marring, and the sleeve or collet can easily be replaced as it begins to wear. In some instances arbors and chucks can be combined in one device to offer both ID and OD clamping. For example, on a Reishauer RZF machine the same device has ID clamping for the bores of the dressers, while at the end of the device is a chuck for OD clamping on the journal of the component (Figure 3, Figure 4). Hydraulic devices are not always limited to one clamping area or diameter and are in fact fully capable of having multiple clamping areas, as well as multiple clamping diameters. 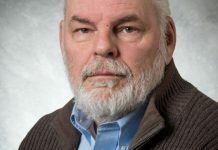 At other times, when significant torque is being transferred to your component, additional clamping force beyond radial clamping may be necessary. In this scenario additional clamping force can be gained by combining hydraulic face clamping with radial clamping force. This design of arbor utilizes three hydraulic ports—in this case, of a Kapp KX 300—to clamp radially, then swing out the “swivel hooks” and clamp axially (face clamping), and finally to retract the swivel hooks and unclamp the device. To locate and align gear shafts between centers while clamping on an outside diameter that is not running with the center, König has designed a mechanical chuck with radial adjustment. The chuck has an integrated center to align and locate the shaft between chuck center and tailstock center. The chuck operates with changeable slotted collets that enable you to use this type of chuck for more than one clamping diameter. This arrangement has proven to be very successful, for example, on several Hoefler machine applications. 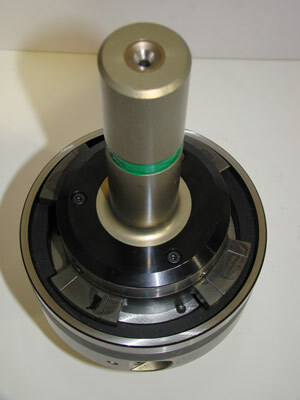 The collet is actuated over a clamping bell, and this clamping bell is located over a wobble device with the base chuck. 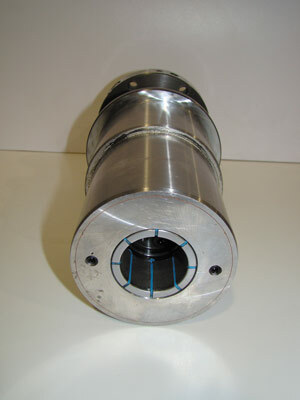 Through this feature the clamping collet follows the outside geometry of the component and doesn’t align over the collet. With this configuration you have an effective drive dog system for locating between centers while enabling you to clamp and load/unload automatically. 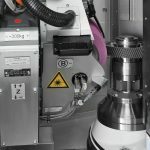 For turning powder metal gears on horizontal lathe machines with automatic loading, König-mtm developed a hydraulic expansion arbor with a retractable axial stop flange. 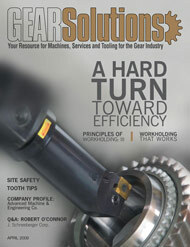 The retractable support flange, or axial stop, allows you to turn the gear on the top and bottom face in one operation. The arbor is actuated over a drawbar. The first 10 mm of the clamping stroke clamps the part on the arbor, and the remaining 35 mm of the clamping stroke retracts the axial stop flange to provide enough space to turn the rear side of the gear within the same operation. The procedure of securely clamping the part first before retracting the axial stop is managed through an integrated actuation system inside the arbor. Powder-metal companies have used this arbor design with great success for increased quality and a reduced production time. With hydraulic clamping devices, and manually actuated arbors and chucks in particular, it is easily possible to reach a clamping pressure that is too high or too low, each with their own disadvantages. 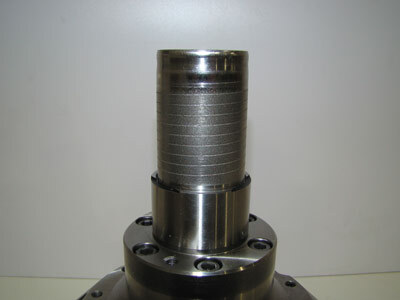 Typical expansion rates of hydraulic mandrels and chucks fall into the range of a maximum of 0.3 percent of the clamping diameter. 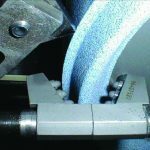 While this provides sufficient clamping in some circumstances, others require a more accurate clamping pressure. If clamping pressure is too low the component can shift axially, radially, or both on the mandrel. 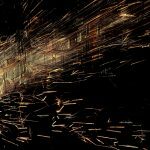 Said effects could include not only unacceptable component quality, but could completely ruin the tool during the machining process. 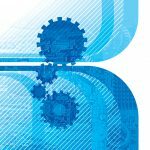 The costs associated with a machine crash add up quickly when you consider the tool replacement, workholding repairs, scrap, and resultant downtime. 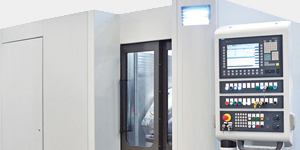 At the other extreme, if the clamping pressure is too high, sensitive, or thin-walled, workpieces can be deformed. Once machining is completed the stretched workpieces return to their static form and specified tolerances cannot be kept. 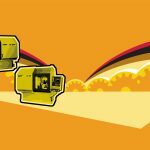 To remove any doubt an electronic clamping pressure control can be included in your clamping solution. During manufacture the arbor or chuck is outfitted with a pressure sensor. The pressure sensor is then connected to a digital readout (DRO) via dirt-insensitive, magnetic contacts (Figure 5). For manually actuated devices the clamping pressure can be read digitally on the DRO as the actuation screw is turned, enabling maximum control and repeatable clamping pressures for each use. For automatic clamping or actuation initiated over the machine, an upper and lower limit is determined and preset in the control. 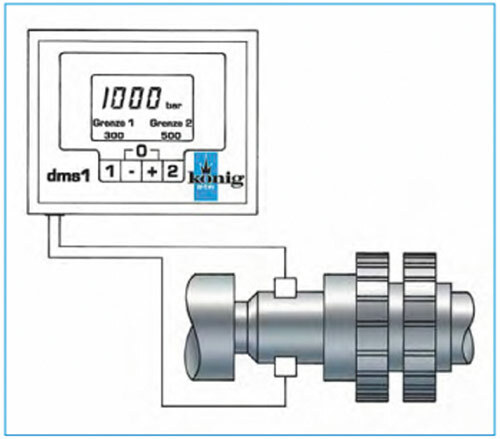 The device can be connected to the machine through a pressure-free outlet, thus allowing any disturbances or changes to be monitored and/or recognized immediately by the machine’s control system with the measured pressure displayed from 0-1,000 bar (Figure 6). 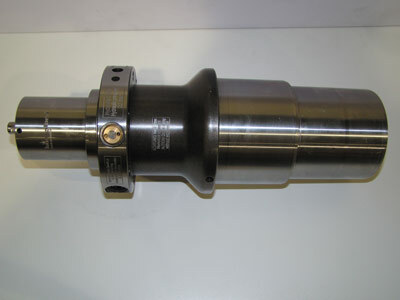 Use of electronic clamping pressure control not only guarantees the same clamping pressure in a König arbor or chuck, but it also eliminates potential variation from one operator to another, ensuring consistent and repeatable results while sparing damage to expensive tools, components, and manufacturing devices. To further customize your workholding, and to help continue capitalizing on your tooling investment, several additions can be made to your workholding solution, depending on the application. Most of König’s hydraulic devices include an adjusting screw. Given the nature of the function of a hydraulic expansion device, there are internal seals that can wear in time. As the seals wear or begin to harden, small amounts of hydraulic oil can be lost, resulting in a loss of clamping pressure. To resolve this, an adjusting screw is included. After several clamping cycles, if there is a slight loss in clamping pressure, you can simply turn the adjusting screw as necessary. The adjusting screw moves a piston, which then forces a “reserve” of hydraulic oil back to the front side of the actuation piston/system, thus maintaining the necessary volume of oil for expansion of the clamping sleeve and, finally, your component. For automatically actuated devices, the previously mentioned manual adjustment can be avoided by using an automatic adjustment device. The function is the same, although the adjustment is made automatically, as needed. The auto adjustment device consists of a spring-loaded piston that is constantly under pressure. If any amount of hydraulic oil is lost the spring forces the piston in, displacing the lost volume of oil and maintaining clamping pressure. The piston cannot be forced back under pressure thanks to a ratcheting-tooth type design. Along the same lines as the adjusting screw, an operation indicator pin can also be added to arbors and chucks, assuming they are clamped over an external oil supply (Figure 7). 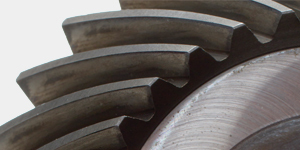 The operation indicator pin protrudes through a cut-away nut. The pin is fully extended when the device is clamped, while the pin is retracted slightly when relaxed. As an added feature, the pin has colored bands. If the bands are no longer visible, this is an indication that the Königdorn is in need of adjustment. 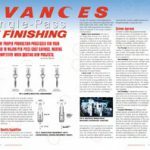 In some applications where volumes are high or additional torque is needed, coatings can be used on the clamping surface. 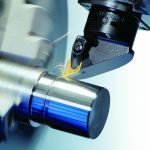 König uses an MHB coating that increases the surface coefficient from 0.1 to 0.15, providing up to 50 percent more clamping force. These optional coatings increase wear resistance, while also providing the added benefits of higher torque transmission and/or corrosion resistance (Figure 8). On occasion it is also necessary or beneficial to add a spiraled groove to the clamping surface (Figure 9). 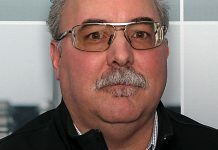 Through experience König has found that during part changes—and the machining process in general—a thin film of oil can form on the clamping surface. 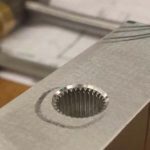 Without the spiral groove, when the device is actuated or clamped the film of oil trapped between the ID of the component and the OD of the clamping surface (or vice versa) could act as a fluid bearing or cushion of sorts. 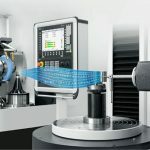 Not only could this reduce the torque or clamping force, it could also be a safety hazard, as the part could potentially be flung from the clamping device during machining. This spiraled groove provides a channel for any oil trapped between the part and clamping surface to be routed out and away from the action. Finally, when an application calls for a workpiece to locate on a flat face that may not be qualified or running with the bore, a pendular device or wobble plate can be implemented. These wobble plates vary in complexity as necessary, yet can be as simple as an o-ring that will allow some “give” as needed. 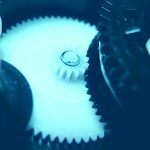 In summary, through our three articles (all available for download at www.gearsolutions.com) we have introduced and briefly discussed some of the principles of workholding and the different designs and or configurations that are available. We have also touched on a few applications yet clearly not all. 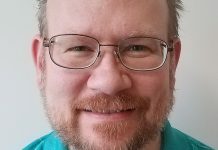 Our intent was to encourage a review of your current workholding, and identify weaknesses that could benefit from a more robust, easier to use, higher precision workholding solution. Workholding is often overlooked as a means through which to cut costs and improve upon quality, but the truth is just the opposite. Improved clamping solutions can reduce setup and changeover times while also reducing individual part cycle times, producing higher quality, more precise parts in the process. 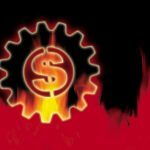 The end result is less scrap, increased productivity and, ultimately, increased profits. 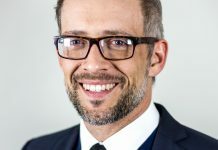 König-mtm has identified their individual strengths in the workholding arena and has longstanding relationships and product knowledge of several major machine tool builders. They are proven candidates for high precision and challenging workholding solutions both in manufacturing and inspection. We encourage you to “Get a Grip” on your workpieces and reap the benefits that improved workpiece clamping solutions offer.